A fateful meeting with a mysterious stranger inspires Pee-wee Herman to take his first holiday ever in this epic story of friendship and destiny. Pee-Wee Herman and his friends have wacky, imaginative fun in his unique playhouse. Pee-wee: Look out, Mister Potato Head! Q: What is Pee-Wee's Big Adventure about? Come back, Pee-wee! All is forgiven. 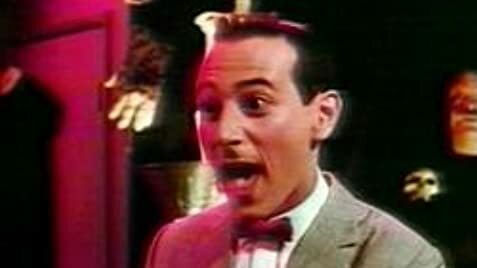 When you look back at Paul Reubens' career, it's easy to forget what a joy "Pee-wee's Big Adventure" was. He followed it up with a disappointing sequel and, to some, an even bigger indiscretion in his personal life. "Pee-wee's Big Adventure" is a rarity for a live-action film: A film for kids that adults might like even more. This road movie about Pee-wee's search for his stolen bicycle is colorful, imaginative, well written and even, gulp, educational in spots. After all, who would have thought that the Alamo doesn't have a basement? Director Tim Burton's surrealistic touches provided an introduction to his quirky career, and Danny Elfman's score set the stage for brilliant soundtracks to come. The delightful walk-ons by Milton Berle, Phil Hartman, Jan Hooks and Twisted Sister make this a good one for the time capsule, and James Brolin and Morgan Fairchild are hilarious in the "Hollywood" version of Pee-wee's adventure. 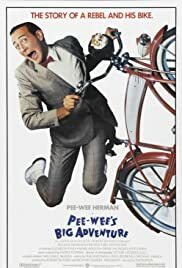 "Pee-wee's Big Adventure" is a good movie to watch when you're depressed, and a better one to watch when you're happy. Whether you take it straight or with a shot of "Tequila," it holds up on repeated viewings. Come back, Pee-wee! All is forgiven. We need you now more than ever before.